My pregnancy yoga classes are gentle and informal. A place where you can be yourself, have some quiet one to one time with your growing baby, relax your mind and your body and feel part of a growing community of other Mums to be. There is a strong focus on breath work in my classes to support you with labour and birth as well as meditation and relaxation to help you unwind and ground yourself in pregnancy. Through simple and gentle movements and poses, you will be releasing tension from your changing body, calming your nervous system and finding some stillness in your busy week and of course there is always plenty of doula love too. In my classes, I work with you and your pregnancy. I will always adapt my poses for everyone’s individual needs. Whether it’s low blood pressure, pelvic girdle pain, sore hips or anything else that comes with the joy of being pregnant. I have lots of blocks and blankets for added support and comfort and am always mindful of your body. 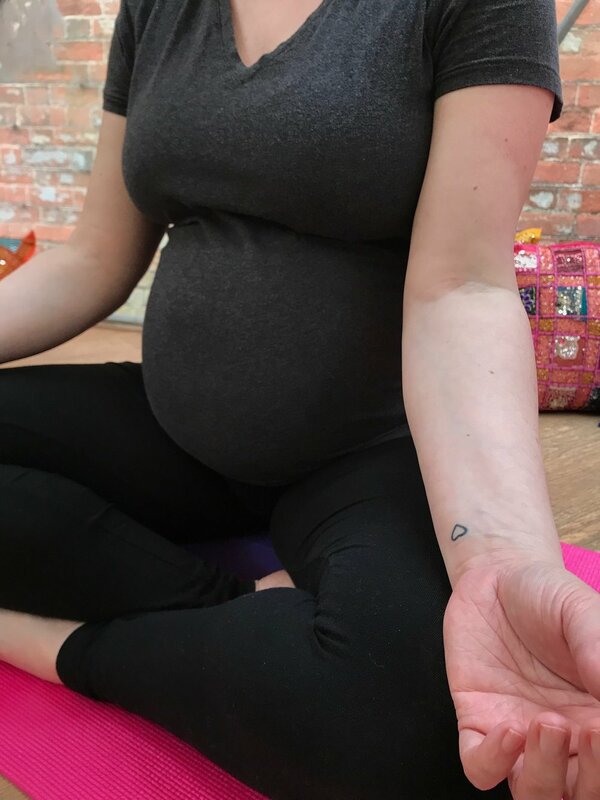 An important part of pregnancy yoga is the relaxation at the end of class. Giving your mind and your body a chance to completely unwind, absorb the benefits of the class and prepare your body for the quieter moments of labour. A really nourishing practice, that we could all use more of. The beautiful Konasana Dome at The Medicine Garden in Cobham is the perfect place to retreat for an hour a week and take some time for you and your baby.